Hey, foodies: it&apos;s time to get your grub on. DineLA Restaurant Week is returning to Los Angeles this summer, and they&apos;re extending their normally 12-day eat-a-thon to 14 days. Now we have an excuse to eat out for two weeks straight and feel less guilty about emptying our pockets. This event takes place twice a year and will hit our city from July 14 to July 27. Participating restaurants are offering prix-fixe menus for lunch, dinner, or both ranging from $15 to $45. You can check out the full lineup here. However, we know it&apos;s a pretty hefty list to sort through, so we&apos;ve put together our top picks at DineLA. Remember to make a reservation ahead of time as some of these spots book up fast. a.o.c. 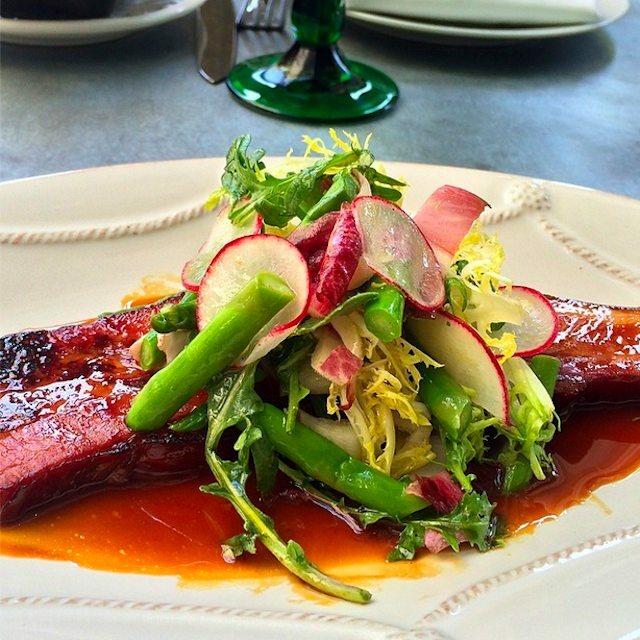 : Californian cuisine in the Beverly Grove area. Black Hogg: Modern American cuisine in Silver Lake. Bouchon Bistro: French cuisine in Beverly Hills. Craft: Modern American cuisine in Century City. littlefork: Modern American cuisine in Hollywood. Lucques: Mediterranean cuisine in West Hollywood. Lukshon: Asian fusion in Culver City. Mo-chica: Peruvian cuisine in downtown. NIGHT + MARKET: Thai cuisine in West Hollywoood. Picca: Peruvian cuisine in Pico-Robertson area. Sotto: Italian cuisine in Pico-Robertson area. The Bazaar By Jose Andres: Spanish cuisine in the Beverly Grove area. The Hungry Cat: Seafood in Hollywood. Waterloo & City: International cuisine in Culver City.